I have 3 plain school chairs out by the kitchen door at the flat. The flat is 7 floors up in the warm, thin, winter sun. It is so pleasant to sit out in the evening, drinking a panache - in France they call a beer shandy a panache - it is completely suited to Durban weather, just like tequila, and unlike red wine, most of the time... The view from the kitchen is out over the neighbourhood. It rises up a gentle slope towards the ridge – the university tower sticks up all the way over on the left. There are a remarkable number of trees - you can hardly see the flat-blocks and houses for all the trees. 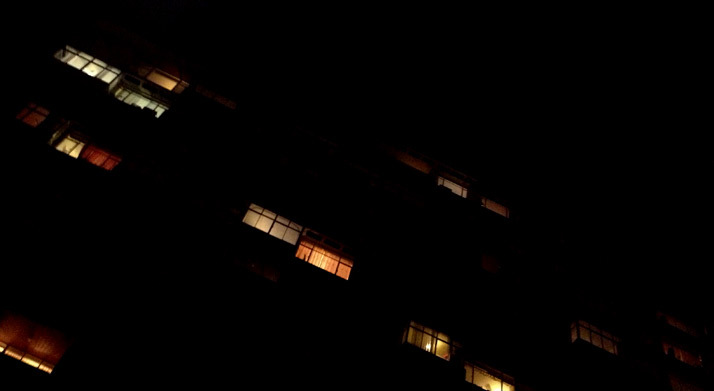 In the flat-blocks the lights come on as the evening darkens, and each window is a different colour – blue, green, orange, pale, washed out versions of every shade of warm cream, backlit by electric lights and TVs. By 6pm it is sparkling. And the islands of deep dark trees are soft and silent. It is a truly pleasant view. We drove up to the highveld - from the heavy air, the listlessness of the coast. As we drove the sky thinned and spread, and the clouds became fresh and crisp. The sun shone sharper, and the fields of green turned yellow & white. At my parent's house, I slept in an upstairs room. On the wall, a picture I remember from when I was born: A perfectly happy print, of a little bhuddist boy on a donkey who is burdened with a big sack slung across its back. The picture is simply and neatly done, with solid black outlines around big bright pink and orange shapes. It is a large picture, thinly framed, and covered by glass that reflects the window and the garden. This picture might be the last image I see before I die, forgotten for decades and decades, and surfacing into my mind’s eye as I draw my last breath. I would smile with surprise if that's how it happened. and the ships lie unaware. I wake to find this blank-eyed day, not yet there. Almost there. There only if I blink. Not yet beautiful. Not yet wonderful. Not yet silken soft with comfort, not yet leaden, heavy, rested. I whistle empty. I hardly sleep. And I rustle through my dreams. I don’t yet sit in wonder that I live among the clouds.